Mark Your Calendars Roller Coaster Fanatics! Coaster Madness will take place Sunday, October 7th, 2018. This year, Coaster Madness will feature exclusive access to ThunderHawk for a restricted area photo-op, an “Inside the Brains of Possessed” Tour, ERT on Steel Force, ThunderHawk and Demon Drop, and so much more! 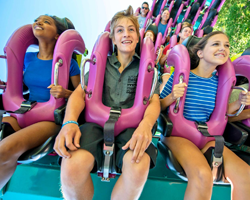 Coaster Madness event tickets are $40 for Passholders, and $50 for non-Passholders. Purchase tickets at these reduced rates through October 4, 2018 at 11:59 PM EST. Tickets will be available the day of Coaster Madness for $60 (Passholders & non-Passholders). All pricing subject to taxes and fees. Single-day admission valid for October 7, 2018 only, (2) meals – an exclusive lunch and access to Fright Feast, a Single Day Souvenir Bottle, Fright & Fast Lane Pass, Parking and Access into all the Coaster Madness events throughout the day. Tickets are per person. Participants must purchase the appropriate event ticket. Admission tickets other than season passes are not valid for this special event. Guests for this event must have valid membership to a recognized roller coaster or amusement industry club to participate. Step 1: Purchase event ticket by 11:59 PM EST on Oct 4, 2018 to obtain the reduced rates. Step 2: Register for Coaster Madness after purchasing your ticket. 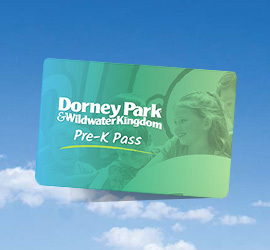 Participants who register online will receive a Dorney Park t-shirt! Parking is included with online registration, present ticket at toll booth. Coaster Madness guests gain access to the turn-around of ThunderHawk for an exclusive photo opportunity. Brad Nesland, Dorney Park’s VP of Maintenance and Construction takes you behind the doors of Possessed to show you induction at its finest. Your early park entry allows you to enjoy exclusive ride time on Steel Force, ThunderHawk and Demon Drop. 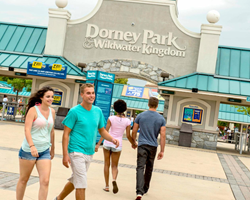 11:00 AM – 11:00 PM – Enjoy a full day of fun at Dorney Park! Enjoy a carefully crafted lunch by our Foods Team, and Coca-Cola Beverage. Fright Feast Dinner (Monsters included). Use your Fright & Fast Lane Pass to check out all of our frights, including new attraction Necropolis, plus all the Fast Lane rides and attractions! 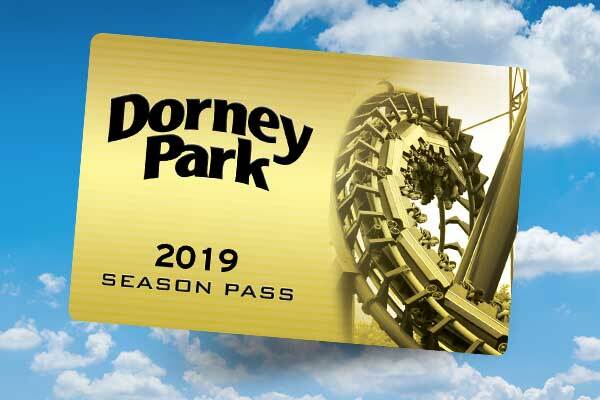 Submit your Dorney Park photos taken during the Coaster Madness event to the post in the Coaster Madness Facebook group about this contest. You must include #CoasterMadness2018 and “Enter me” with your post. The attendee who is most engaged on social media (Twitter/Facebook/Instagram) will receive a special prize. Don’t forget to use the #CoasterMadness2018 hashtag and post to the Facebook group! Post a photo of you with a PEANUTS™ character to the post in the Coaster Madness Facebook group about this contest. You must include #CoasterMadness2018 and “Enter me” with your post. Post a photo of you with a new person you met at Coaster Madness to the post in the Coaster Madness Facebook group about this contest. You must include #CoasterMadness2018, where the new person you met is from and the coaster club/organization they registered under with your post. Post a photo of each of the 7 roller coasters at Dorney Park to the post in the Coaster Madness Facebook group about this contest. You must include #CoasterMadness2018 with each photo and “Enter me” with your post. One winner who completes all of these tasks will be chosen at random near the end of the event.